Are your eyes looking a little tired? You donât necessarily need eyelid surgery! Nobody wants dark eye circles, unsightly bags or drooping skin around the eye area. In fact, the more tired your eyes look, the more people will perceive you as older than your real age. While traditionally, most patients opted for eyelid surgery or facelifts to correct any aging concerns around the eyes, today, there are numerous less-invasive skin treatments available to safely and quickly brighten your appearance. At Peterson MD, we offer our patients effective skin treatments ranging from eyelid surgery to Botox to instantly rejuvenate your eyes and help you look years younger! 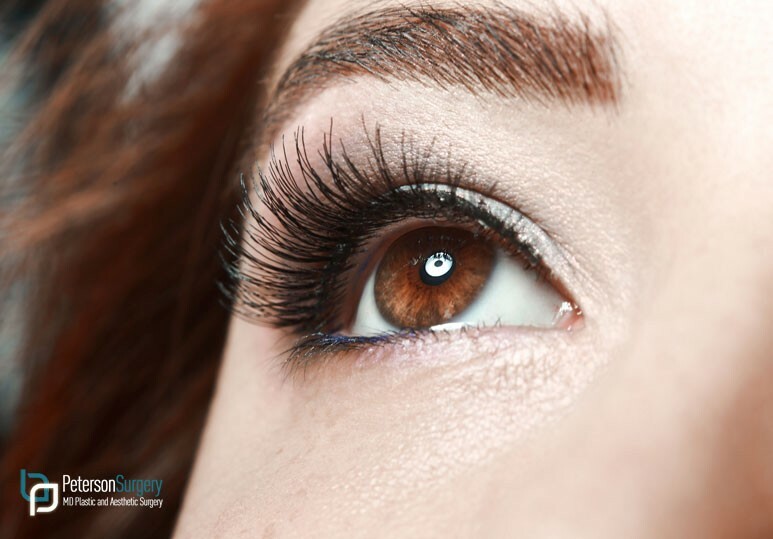 While an eyelid surgery can certainly improve the overall look of your eyes and the surrounding areas, not everyone is an ideal candidate for surgery. Fortunately, there are many advanced non-surgical skin rejuvenation treatments available to give your eyes a boost without the extensive recovery and high costs associated with eyelid surgery or facelifts. A great alternative to a facelift or eyelid surgery, the results of Botox are dramatic and can last up to 3-4 months. As your skin ages, it loses the collagen that helps shape and support it. Dermal fillers such as Restylane and Belotero are naturally-derived materials that are injected beneath the skin to make it fuller. Dermal fillers work to restore lost volume and elasticity and also bring water to the surface of the skin, keeping it fresh and hydrated. Unlike an eyelid surgery, results of dermal fillers will appear immediately and generally last anywhere from 6-12 months, depending on which filler you opt for. Non-ablative lasers such as Fraxel 1927, are non-invasive skin rejuvenation treatments that work to stimulate collagen and tighten the skin. Through the use of an intense, yet safe, light energy, non-ablative lasers stimulate the collagen production in your skin, smoothing out any creases which cause unwanted facial lines or scars. Although a dramatic difference can be seen after just one treatment, the best results are often achieved with at least 4-5 treatments. While eyelid surgery is often done for cosmetic reasons, it is also a very effective treatment option for improving eyesight in older patients, whose sagging upper eyelids get in the way of their vision. An eyelid surgery helps reverse unwanted signs of aging in the upper/lower eyelids, naturally rejuvenating your appearance. An eyelid surgery WILL NOT eliminate dark circles under the eyes, crow's feet or other facial wrinkles. Often, plastic surgeons will recommend doing it alongside other procedures including a facelift, laser resurfacing or filler injections. To find out whether eye rejuvenation skin treatments or eyelid surgery is the right option for you, contact our team of Kelowna plastic surgeons today at 250-868-9099.